We have all been to IKEA and probably at some point pondered the funny sounding, elvish-like names of their furniture. However, their interesting and sometimes really weird IKEA names aren’t only that – they are a part of a complex system created by the founder’s sister, who wanted to help her dyslexic brother remember what was what, without having to rely on numbers. 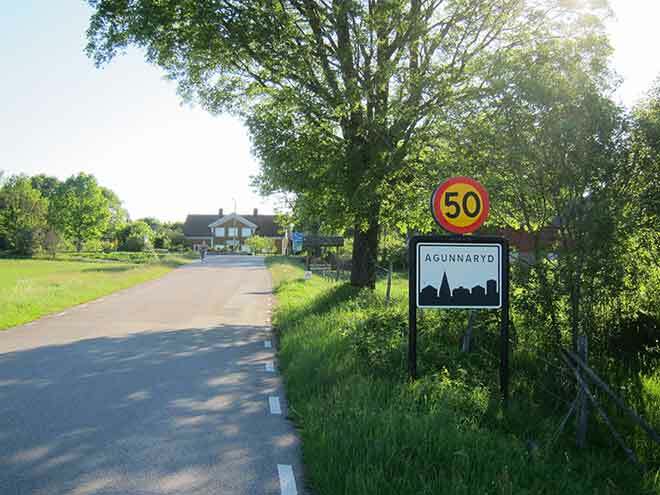 Even the name IKEA has an interesting story behind it: The founder, Ingvar Kamprad, was the one who came up with this catchy name, which itself is an acronym for his family’s farm where he grew up (Ingvar Kamprad Elmtaryd) and the village in Småland, near his hometown (Agunnaryd). 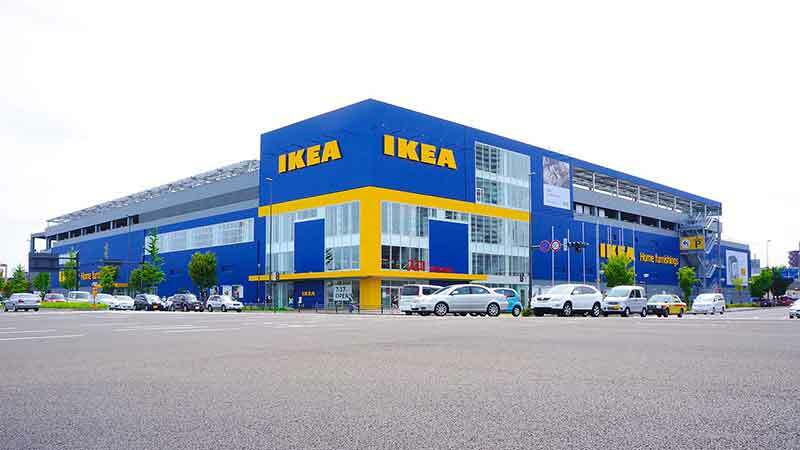 In order to keep complications at a minimum, IKEA uses the same name for its products in all 389 stores they own around the world. However, they are super careful about IKEA names that may have an offensive or vulgar meaning in other languages – although it is not surprising when they miss a few. 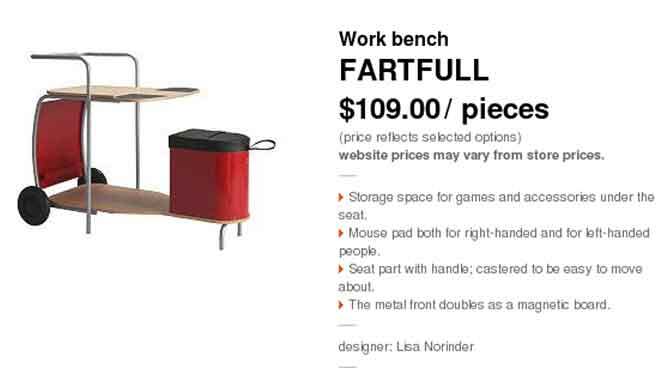 Some of the most memorable IKEA names include a children’s workbench called Fartfull, a ceiling light called Fartyg, and the dotty duvet set Stenklöver. However, things aren’t always this “easy”. The system gets more confusing to us, non-Swedish speakers, when exceptions are added. Even Swedes are sometimes mystified – although it is easier for them to understand the funny side of many names. So, when not going by the book, things are sometimes named after what they do or what they are for, while others might be the idea of a designer. For example, the famous Billy bookcase is named after the IKEA advertising manager, Billy Likjedhal. IKEA’s recently-launched bicycle is called “Sladda”, which in Swedish means “to skid”, and one of their spice mills is called “Krossa”, which means “to crush” or “to grind”. Typically, though, the naming committee sticks to their clear-cut taxonomy and is trying to avoid creating more confusion. If you want to know what the words actually mean, you can look them up in the IKEA dictionary:a helpful, although incomplete Swedish-to-English dictionary, put together by Lars Petrus, Sweden’s Rubik Cube champion. So if you bought IKEA’s Uldum carpet, by looking it up in the dictionary, you would learn it was named after a Danish town, and if you bought Utby bar table, you would know it got its name from a small village in West Sweden. So, the next time you’re shopping at IKEA, and you buy a Vackert decoration for candle in glass, remember you’re not buying just any decoration for candle, you’re buying a “beautiful” decoration for the candle, and when you’re buying a Vasen vase… well,that one is pretty self-explanatory.